I am going to show, how we can add documentation in Custom program. I have searched in SCN network too many times, to achieve this functionality but not get any clue, so i have decided once i will achieve this functionality in my program. I will write regarding this functionality, I know this is very small thing however i have spoiled one day for this. 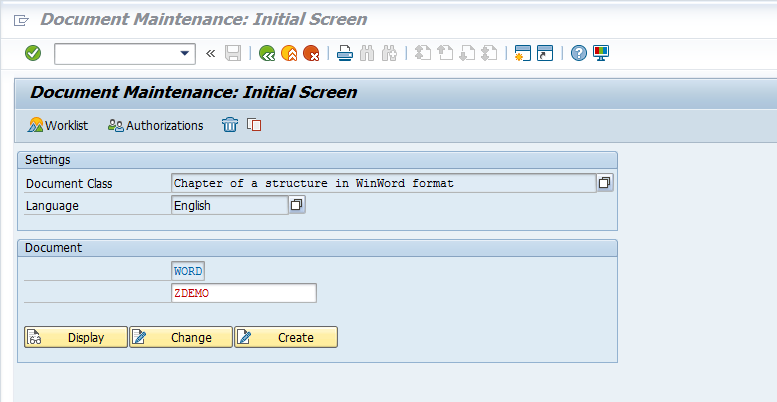 Select the document class: ‘Chapter of a structure in WinWord format’. Click on create and insert/ paste your document. After inserting Save it and assign to transport request. 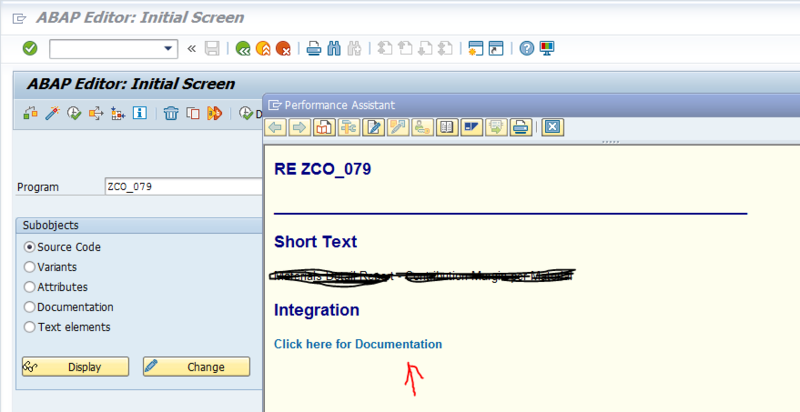 For any program with a selection screen the documentation icon will start coming up and will look confusing to the end user, if it has technical details in it . the above functionality used by developer to understand the program it will not show in selection screen. If you have any doubt please let me know. Great job! What you don’t say, is that “WORD” is the only format where we may save pictures, etc. So it may be very useful ! 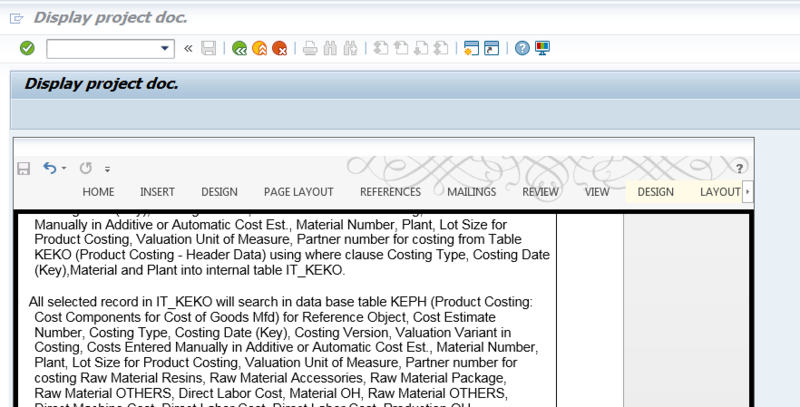 By the way, I use SE61 to edit the documentation, which is the same as SO72. It will be quite useful from a developer point of view espeically in understanding the flow of the Program. 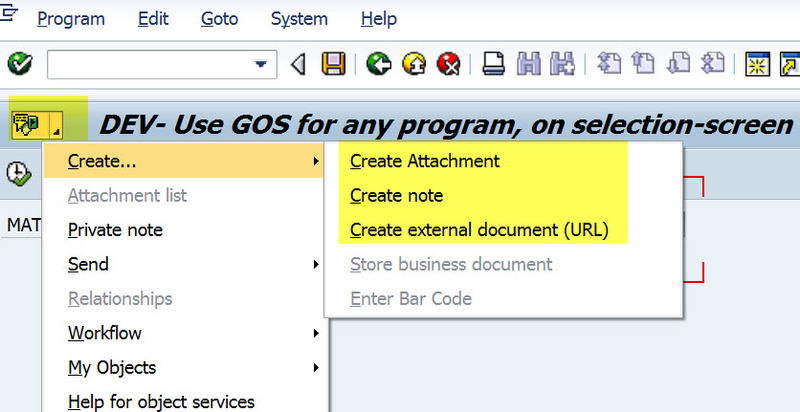 Or, you could add GOS (Generic Object Services) to the selection-screen. The following code will do that. You can add: any file type attachment, a note (text only), or a URL. 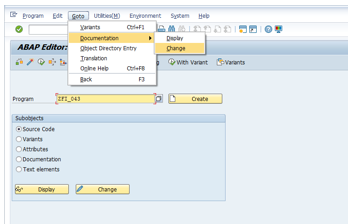 We commonly use this functionality to allow end users to create their own program documentation. I like giving users the ability to create and change documentation at will without have to change/test/document/transport any objects. One caveat – if someone has the ability to add something using GOS, they also have the ability to delete something they, or someone else, have previously added. iP_MODE = ‘E’ ” ‘E’ or ‘W’. * as display only or display and write only.